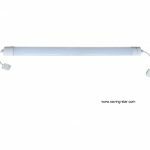 Waterproof LED Tube Light, ideal for indoor or outdoor lighting. It is waterproof, dust-proof and moisture-proof. Perfect replacement for the whole set of T5 T8 fluorescent Luminaire. 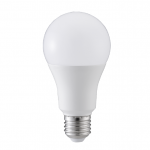 100-240/277V AC 50/60Hz for general lighting application; It is a commercial grade lighting solution. Gorgeous Lighting Co.,Ltd. adopt high quality constant current LED driver as the power source for waterproof LED luminaire. 3 year warranty. Learn before buy: It is a universal working voltage, you don’t need worry about the input voltage in your place. IP65-Protected from total dust ingress. Protected from low pressure water jets from any direction. Learn before buy: Knowing the protection class of the application place. It is able to be used for indoor or outdoor lighting, please take a look at the place where the light will be installed, please note, do not install the light in the place where require higher protection classes of IP66, IP67 or IP68. 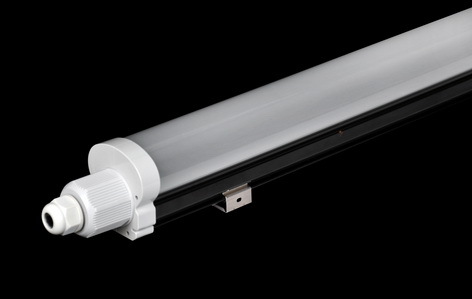 Our waterproof led tube light is Class I type. Learn before buy: This light has electrical earth/ground wire,live wire and neutral wire. 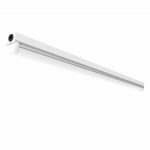 This waterproof linear tube light is made from universal casing Polycarbonate (PC) Light grey (RAL 7035) , it is injection moulding with extremely high mechanical resistance. Light construct body and diffuser meet IK08, and 850 degree glow wire test requirement. In optics, a diffuser is any device that diffuses or spreads out or scatters light. Our diffuser is made from UV Stabilized transparent polycarbonate, and injection molded; It is available in milky or clear len. This diffuser provides uniform illumination and high light transmission with no hot spots. It is an anti–glare luminaire with anti–glare lens and diffuser sheet. Super bright Samsung SMD LED 2835 or 5630 has been used as the light source. LM80 certified, quite uniform light distribution, low light decay, excellent light efficacy, and color rending index is higher than 80, which is approved for commercial and industrial lighting. Fast Connection Terminal Block: 3 poles screw types, or other ideal brand connector. Mounting Bracket: Durable Stainless Brackets. Installation: Easy and quick for surface mounted. Please don’t install the light on the surfaces where may have strong vibrations.